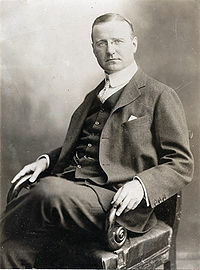 Dunne eventually moved to New York and joined Lincoln Steffens and Ida Tarbell at American Magazine, and made a reputation for himself as an outstanding journalist on national and international issues. Yet we remember him best today for being the voice of the pioneer generations of Chicago Irish whose hard work and political savvy shaped the urban landscape of the Windy City. Lyman Frank Baum lived in Chicago from 1891-1910. Baum wrote more than sixty books in his lifetime, the most famous of which was The Wonderful Wizard of Oz, written in 1899 when he lived at 1677 North Humboldt Boulevard. Most of his books were children-oriented, including the dozen or so Oz books, Father Goose, American Fairy Tales and Dot of Merriment. Baum’s stories of fantasy and whimsy continue to delight readers of all ages. He highly deserves to claim his rightful place among the most creative writers that have called Chicago their home.